God Our Father Poster. 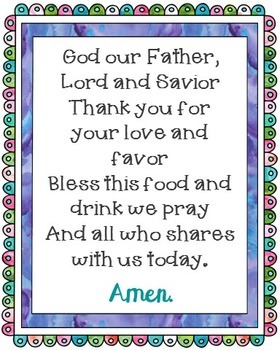 Prayer, Blessings, Dinner, Meals. God Our Father Poster. You'll receive a JPEG that can be printed up to 24" x 30" and a PDF that can be printed on regular 8.5" x 11" paper.